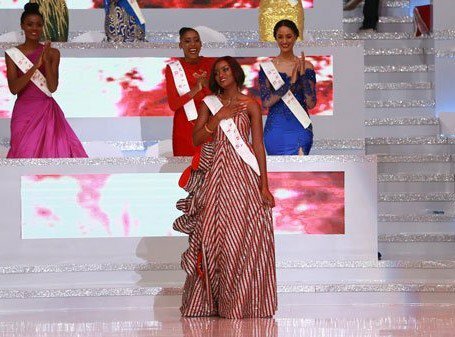 SANYA CITY, CHINA- Quiin Abenakyo, 22, was one of the women who on Saturday evening made history in Miss World and in Uganda for Abenakyo’s case. The model and beauty queen was the first Miss Uganda to reach the Top 5 of the international beauty pageant that is almost seven decades old. The Ugandan beauty was one of 118 contestants who competed for the Miss World 2018 crown. The coronation night took place at the Sanya City Arena in Sanya City, China on December 8, 2018. Prior to the coronation night, 14 candidates secured their spots in the Top 30. They were the winners of the fast-track events and the head-to-head challenge. One of the winners of the Head-to-Head challenge was Abenakyo. At this point, she already made history as the first Miss Uganda to reach Top 30 in Miss World. 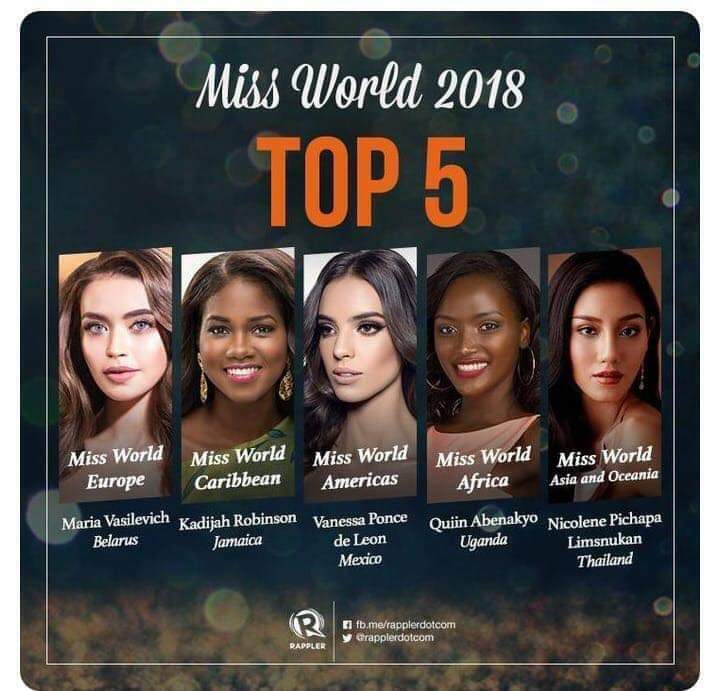 Between the two, the Ugandan representative was crowned Miss World Africa 2018, which qualified her to the Top 5. 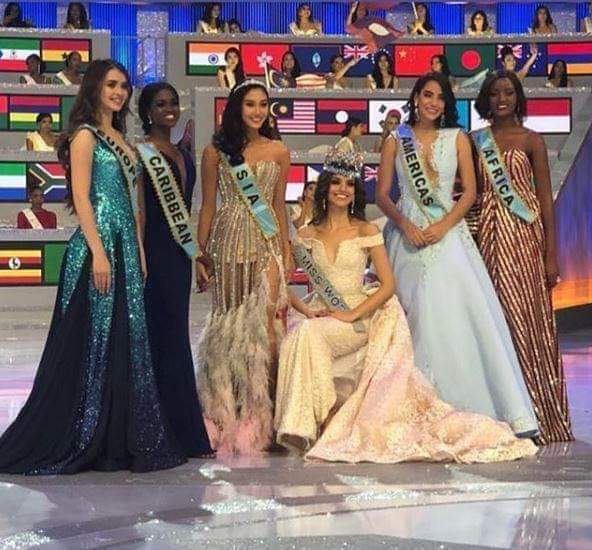 Joining Abenakyo in the Top 5 were Miss World America 2018 Vanessa Ponce of Mexico, Miss Asia and Oceania 2018 Nicolene Limsnukan of Thailand, Miss World Caribbean Kadijah Robinson of Jamaica and Miss World Europe Maria Vasilevich of Belarus. In the end, Miss World 2017 Manushi Chhillar of India crowned Ponce as Miss World 2018. Limsnukan was first runner-up. Ponce was the first Miss Mexico to win Miss World. She was replaced by Solaris Barba of Panama as Miss World America 2018. On August 10, this year Abenakyo was crowned Miss Uganda 2018 at Sheraton Kampala Hotel in Kampala after edging 21 other contestants.